One of this year’s most anticipated projects is A$AP Rocky’s forthcoming sophomore album A.L.L.A (At.Long.Last.A$AP). Earlier this year Rocky dropped “buzz tracks”, “Pretty Flacko II” and “M$”, and the official lead single “Everyday” featuring Ron Stewart, Miguel and Mark Ronson. Today, the A$AP Mob leader continues to tease the album with the video to “LSD”. 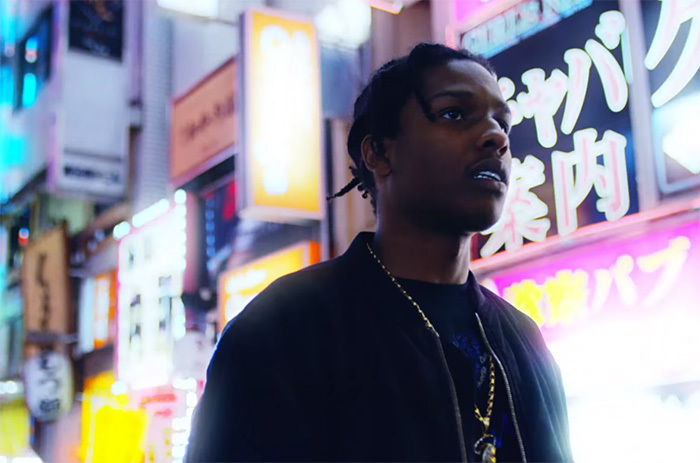 In the video to the “psychedelic love song”, A$AP showcases his vulnerable side as he takes us on a journey through the lights. The forthcoming project includes work with Juicy J, Danger Mouse and the late A$AP Yams. I’m looking forward to the new project! With the most recent releases, I’m impressed with the sound and look forward to seeing where Rocky takes us next! A.L.L.A. (At.Long.Last.A$AP) is due June 2nd. Check out A$AP Rocky in “LSD” below!